Diabetes can be a debilitating condition, particularly for those who develop Type II at some stage in their lives. 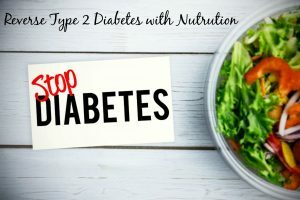 But a new study suggests that there is hope for these patients as it looks like there may be a way to reverse the progression of type-II diabetes. Newcastle University (UK) professor Roy Taylor has studied diabetes for nearly forty years and he explains a unique discovery that might lead to innovative new lifestyle modification strategies in the treatment of Type-II diabetes. He says that extra calories leads to a fattier liver and that excess fat is then passed on to the pancreas. Extra fat in the pancreas, he explains, leads to lower insulin production; or, rather, that too much fat in the pancreas causes failure in the insulin-producing cells. Essentially, then, he argues that if a patient could just lose 1 gram of fat from the pancreas—through dietary maintenance—they could encourage the re-start of normal insulin production. Effectively, that would reverse the onset of Type-II diabetes. Taylor also describes the discovery a little more in detail, saying that the lab results showed that excess fat in the insulin producing cells results in the loss of the specialized function of those cells. Basically, the excess fat causes these cells to go into “survival mode” and that does not contribute to the overall well-being of the whole body. When you remove the fat, though, he says that the lab tests showed these cells begin to function normally again.